Anyone who drives around the downtown area of a large city has experienced the frustration of gridlock, and it always seems that the traffic lights are part of the problem. However, a new kind of traffic light designed by a University of Toronto graduate could turn this traffic gridlock into a thing of the past. 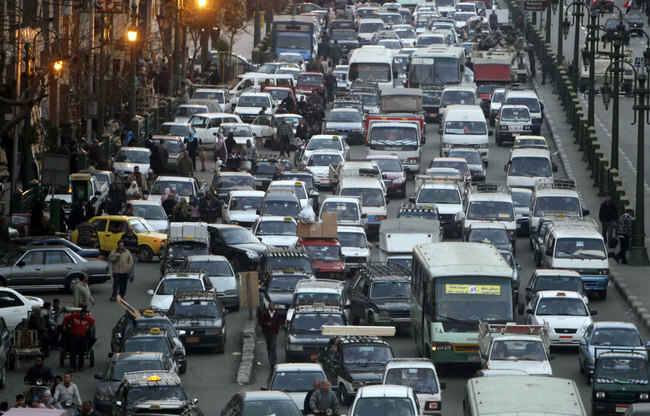 Samah El-Tantawy has dealt with gridlock in two of the worst cities for traffic in the world — Toronto and Cairo — and she's come up with an innovative idea to help. Rather than coordinating through one of the central control systems currently used to direct traffic, El-Tantawy's new traffic lights use artificial intelligence and decision-making strategies from game theory to simply 'talk' to one another. This lets the lights coordinate among themselves, based specifically on what they are all seeing in the traffic flow at any moment, how to best keep things moving. "In lay language," El-Tantawy said in a U of T news release, "the [traffic lights] act as a team of players cooperating to win a game — much like players in a soccer match, where each player endeavors to score, but at the same time considers the ultimate goal of the entire team which is winning the match." El-Tantawy's traffic lights were put to the test at 60 downtown Toronto intersections. Even in rush hour, they ended up cutting down traffic delays by up to 40 per cent, and they reduced travel times by up to 26 per cent. For those of us with a 2-hour commute, image the joy of that being consistently reduced to just an hour and a half! What would you do with an extra hour in your day? This design earned El-Tantawy her PhD in Civil Engineering from the University of Toronto, as well as two awards — best PhD dissertation from the Institute of Electrical and Electronics Engineers' Intelligent Transportation Systems Society and second place in the George B. Dantzig Dissertation Award from The Institute of Operations Research and Management Sciences. Gridlock costs our economy billions of dollars every year in lost productivity, with an estimated $10 billion just for the City of Toronto alone. With a one-time investment of just that amount from Toronto, up to half a million intersections could be outfitted with these new smart lights, not only reducing the impact on our economy, but also making us happier, healthier people. Geek out with the latest in science and weather.